The Haifa bay ammonia tank was completely emptied of ammonia, Israeli media reported, adding that a deadline set by the Israeli Supreme Court was just made. The Ministry for Environmental Protection determined the tank unacceptably endangers the surrounding population and forbid its further use. Only nitrogen now remains in the tank, a material not considered to be dangerous, Ynet reported on Tuesday. 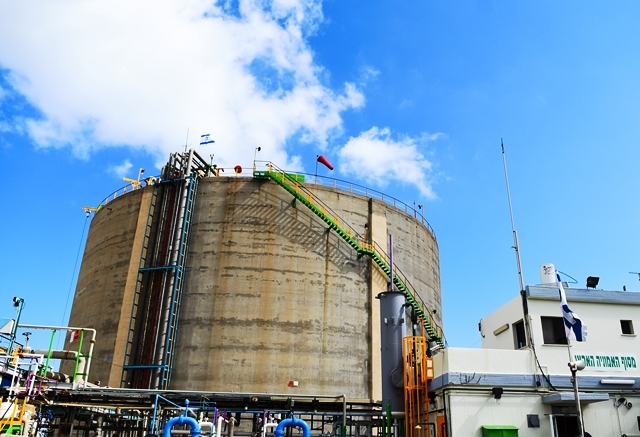 In March, Haifa District Court ordered the ammonia tank in the city to be emptied over concerns that it threatens the lives of hundreds of thousands of people. Earlier, Hezbollah Secretary General, Sayyed Hasan Nasrallah threatened that the resistance movement has the capability to strike the ammonia gas storage tanks which could result in the deaths of up to 800,000 Israelis.